We are glad to present our new real estate template Real Estate Broker. This template is great for any real estate agency as well as independent real estate broker or real estate agent. Real Estate Broker is nice looking, clean and attractive. Template is packed with slideshow, gallery, search module, Google map with marked real estates on it and booking system with rent/buy request and availability calendar. This Joomla template is fully responsive and fit to devices with different screen sizes. Start making your awesome real estate website with Real Estate Broker. Due to Joomla Blank template, Real Estate Broker comes with a wealth of module positions to place your content exactly where you want it. 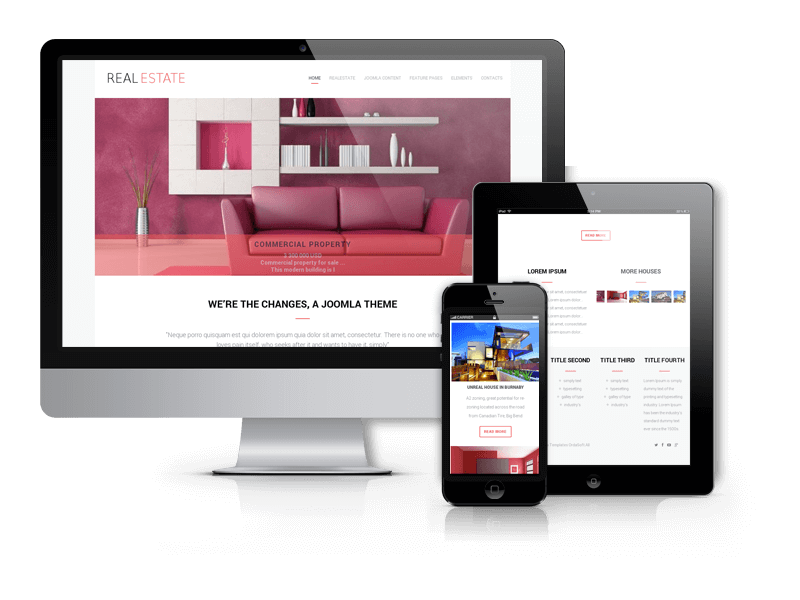 Real Estate Broker Joomla template fully compatible with all browsers: Chrome, Firefox, Safari, Opera and Internet Explorer 9+.